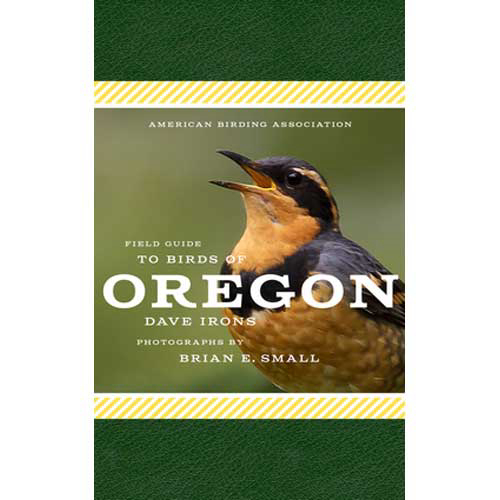 The American Birding Association’s Field Guide to Birds of Oregon is the latest in this premier series of books, and it illustrates the best of these publications. Speaking of illustrations, much of the strength of this volume is the remarkable collection of photographs provided by Brian Small, along with the text by Dave Irons. Descriptions of 300 species illustrated with more than 550 color photos of wild birds, along with detailed preferred habitats, behavior, vocalizations, and when and where to see the species in the great state of Oregon.